The fall in Colorado is an incredible time to visit, and the variety of activities that you can participate in while enjoying the crisp weather, colorful trees, and mountain views. Denver is the hub of Colorado, so there is a pretty good chance that you might have booked a hotel in the city. Though Denver is not quite into the Rocky Mountains that Colorado is famous for, you can access much of that beauty and the outdoor activities in the mountains without having to drive too far. This article will go over some activities that you should put on your bucket list when visiting the Denver area this fall. If you are into ziplining, Colorado has some of the best in the country to offer right outside of the Denver area. Head just 45 minutes west of the Mile High City to soar among the mountaintops and enjoy breathtaking views of the Continental Divide on AVA’s Cliffside Zipline in Idaho Springs. Not only is this a great place for some aerial activities, but there are some great mountain views and hiking in this area as well. One of our favorite state parks near Denver, Colorado is Eldorado Canyon State Park just northwest of the city. It’ll cost you to get in since it’s a state park, but the amount of hiking in the area and it’s proximity to Denver makes it well worth it if you’re just on the hunt for an afternoon adventure. Wanting to head into the mountains for the day? Take a hike in the beautiful Rocky Mountain National Park. You’ll have to drive a few hours but this national attraction will have you drooling at the amazing views. Feeling perplexed in the unexpected heat of a Denver September? Perhaps it’s time to do some paddle boarding and swimming out on the Boulder Reservoir! You can rent paddle boards, go out for a few strokes, lay in the sun, and do some diving into the fresh crisp water. Coolest part? The reservoir is only about 45 minutes from the city, so this makes for a great half day trip – leaving you enough time to swing by a brewery or two on your way back. Believe it or not, there’s still a little bit of whitewater left in the state to enjoy. 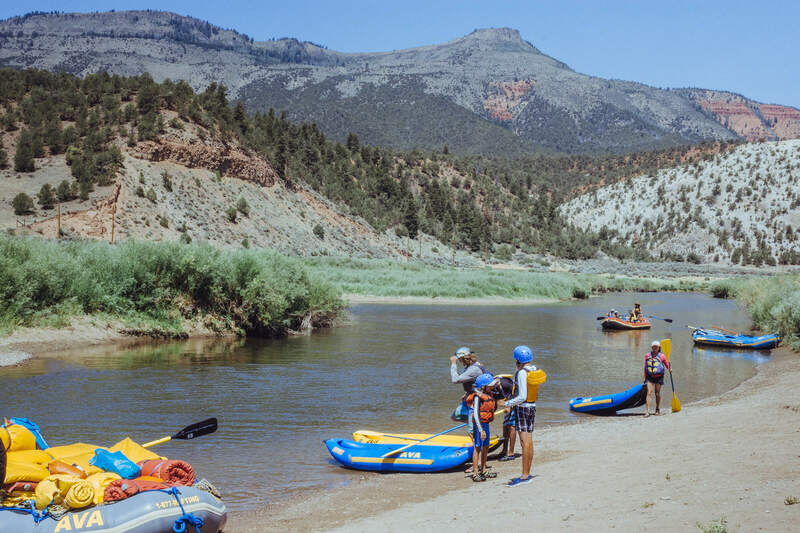 Take the family rafting on the Upper Colorado River near Kremmling, or take on these Class II rapids in an inflatable kayak. You’ll have to venture west from Denver about two hours, but nobody has ever complained about escaping into the Rocky Mountains for a day or two. Look how much you have to put on your itinerary for this fall! You have aerial adventures, land-based adventures, and water sports to keep you entertained while enjoying the breathtaking views. Yes, you will have to drive a bit to get the real Rocky Mountain experience, but it is well worth it. Make sure to put these on your list this fall and call AVA Rafting & Zipline to help set you up for an adventure.